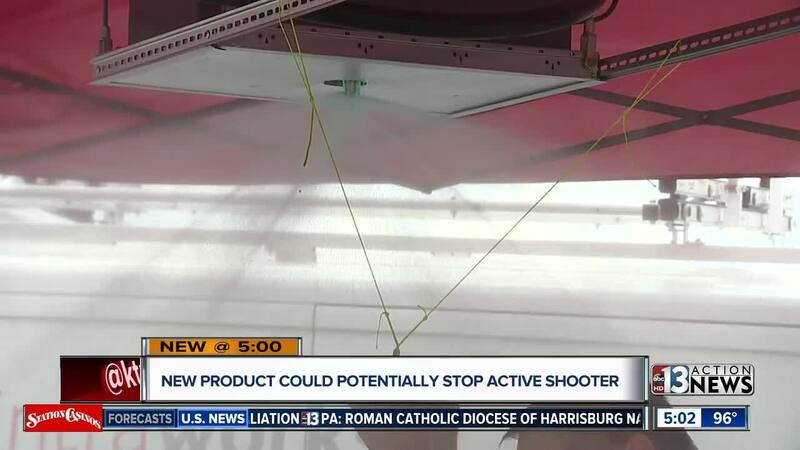 A new company called Crotega came up with a product that is supposed to stop an active shooter in his or her tracks. The threat suppression system could soon be in buildings and businesses in Las Vegas. 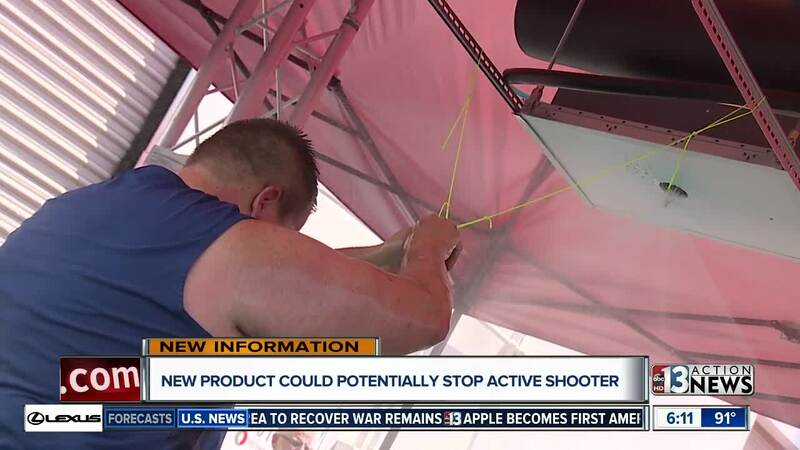 A new device is on its way to the valley that's meant to stop an active shooter. The company, Crotega , did live demonstrations of it in Las Vegas Thursday afternoon. The threat suppression system is a tank put into the ceiling with a non-lethal water based solution that will release when there's a threat. The solution, Repuls, is meant to cause extreme discomfort to the person's eyes, throat, lungs, and skin. It works like a sprinkler coming out of a ceiling to put out a fire. "When it hit me, I couldn't even open my eyes, so it was good," said one of the guys who tested it out Thursday. Crotega already installed the technology into a few casinos and other businesses across the country already. "We are doing a lot of work in Las Vegas right now," said Dan Murphy with Crotega. Murphy wants you to picture this being in just about every building and every business like schools, hospitals, movie theaters, airports, churches, and casinos. "Our goal is to take control back of the building as soon as possible and not have to wait for the police response," said Murphy. "When they get there it should be a safe apprehension." The owner of Crotega, Jody Allen Crowe, was a school principal prior to starting this company. He studied 69 school shooters and even wrote a book about it. Crowe's research and desire to keep kids safe in schools inspired him to create this threat suppression system. "It's important to note that our Repuls product does not cause injuries," said Murphy. "It's discomforting. It causes a great deal of difficulty in focus and concentration but it does not cause injuries. So even if innocent persons are sprayed with it, they are fine after being washed off." There would be multiple tanks in each building where the product is installed because they are planning for the bad guy to try and run away from it. Crotega tells 13 Action News they are in talks with McCarran International Airport and Clark County School District.